Today's data is big. But it's also fast. It comes in unrelenting, blazingly fast streams from mobile devices, M2M, the Internet of Things, social media and beyond in the form of observations, log records, interactions, sensor readings, clicks, game play, and similar events that happen hundreds to millions of times per second. Interacting with fast data is a fundamentally different process than interacting with big data that is at rest. And few businesses have the ability to extract the value of that data when it matters most — at the moment it arrives — because traditional database technology simply hasn't kept pace. 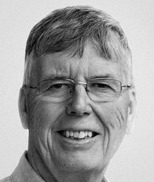 Dr. Michael Stonebraker, Professor at MIT and co-founder of VoltDB, has long held the belief that, without the right database architecture in place, today's organizations run the risk of being left behind in a world that's smarter and faster than what legacy systems can handle. And now the rest of the world is catching up, with technologists realizing that the whole "data economy" is transforming, with a very important distinction between the two major ways in which we interact with data. This unique dynamic is driving innovation and adoption of new technologies at an unbelievable pace — and causing a huge change in the way companies manage data. In this webcast, Scott Jarr, co-founder and chief strategy officer at VoltDB, will discuss the new corporate data architecture — and the necessary technology components for facing this data management challenge. And then database pioneer Dr. Michael Stonebraker will share his "one-size-never-fits-all" perspective for developing the ideal architecture for managing — and maximizing the value of — fast, big data in your organization. Don't be left behind — join Scott Jarr and Mike Stonebraker for this informative, interactive introduction to in-memory database technology. Dr. Michael Stonebraker has been a pioneer of database research and technology for more than a quarter of a century. He was the main architect of the Ingres relational DBMS, and the object-relational DBMS PostgreSQL. These prototypes were developed at the University of California at Berkeley where Stonebraker was a Professor of Computer Science for twenty five years. More recently at MIT, he was a co-architect of the Aurora Borealis stream processing engine (commercialized as StreamBase), the C-Store column-oriented DBMS (commercialized as Vertica), and the H-Store transaction processing engine (commercialized as VoltDB). Currently, he is working on science-oriented DBMSs and search engines for accessing the deep web. He is the co-founder of six venture capital-backed start-ups. 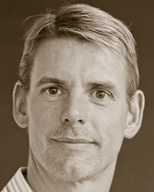 Professor Stonebraker is the author of scores of research papers on database technology, operating systems and the architecture of system software services. He was awarded the ACM System Software Award in 1992, for his work on Ingres. Additionally, he was awarded the first annual Innovation award by the ACM SIGMOD special interest group in 1994, and was elected to the National Academy of Engineering in 1997. He was awarded the IEEE John Von Neumann award in 2005, and is presently Adjunct Professor of Computer Science at MIT. Scott Jarr brings more than 20 years of experience building, launching and growing technology companies from inception to market leadership in highly competitive environments.